Are you trying to decide if Disney World Character Dining is for you? A great tradition of a Disney World vacation is to dine with the characters. There are plenty of different Disney restaurants to choose from. This guide will show you which restaurants offer character dining, give you an overview of the menus and help you decide is Disney World Character Dining is the best option for you and your family. Disney character dining is very popular. As soon as you have decided that this is what you want to do then you should make Advance Dining Reservations either online at Disney Dining Reservations or call 407 WDW DINE. Reservations can be made up to 180 days ahead. Walt Disney World Resort guests do have an advantage because they can start to book 180 days ahead for the whole of their vacation time (for up to 10 days). Some restaurants will need a credit card guarantee. Make sure that you note this when you make your Advance Dining Reservations and if you wish to cancel that you do so in the time stated. Or your card will be charged whether you dine or not. What happens at a character meal? Most, although not all, of the meals are buffets. The characters will visit each table in turn and there will be a chance to take photos and get their autograph. 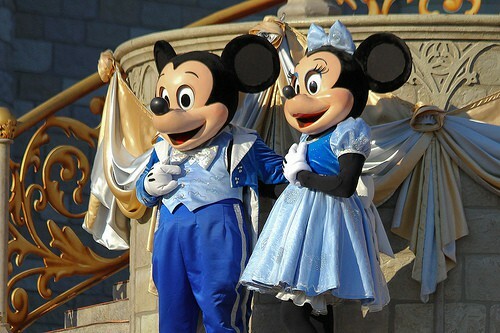 The Disney characters are excellent at interacting with the guests. They are very well aware that some children may be rather overwhelmed by seeing even their favorite character in life size form! So they will get the message if your child really does not want to come out from underneath the table, but they will also do their very best to coax them out! 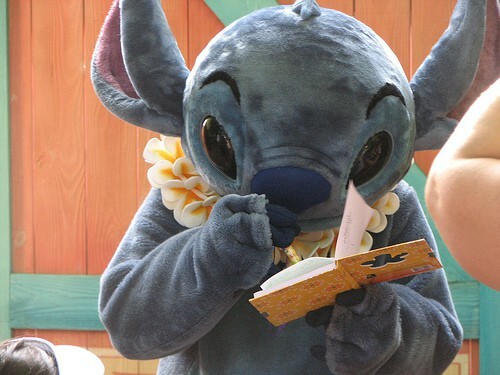 For each Disney restaurant there will be a list of characters who are expected to appear. This is just a guide and not a guarantee. Remember even Cinderella needs a rest sometimes. Where are the Disney World Character Dining locations? This is by far the most popular restaurant in the whole of Walt Disney World. The reason? It is located inside Cinderella’s Castle. To get a reservation here you really do have to plan ahead and book absolutely as soon as you possibly can. Breakfast is served at Cinderella’s Royal Table from 8.00am to 11.15am every day. The price is $44.80 for adults and $29.86 for children aged 3 to 9. The food is all you care to eat which is brought plated to your table. The selection includes, scrambled eggs, sausage, bacon, potatoes, French toast, yoghurt, granola and fresh fruit. Beverage choices include coffee, tea, juice, soda and milk. As part of the all inclusive price you will receive a photo package which includes photos of your party with the characters. As will all character dining you are never sure which characters will appear but usually you will see Cinderella, Fairy Godmother, Aurora, Snow White and Belle. Lunch is priced at $48.54 for adults and $31.11 for children A photo package is included and of course you can buy extra photos if you wish to add to these. Guests choose from a selection of Entrees including Pork Tenderloin, Major Domo’s Favorite Pie and Pasta Al Pomodoro. There is a children’s selection which of Chicken Strips, Pretzel Dogs and Bakes Pasta Marinara. The desserts are a choice of No Sugar Sorbet, Chocolate Cream Cheese Buckle and Castle Made Rice Pudding. Dinner with Cinderella is $54.76 for adults and $33.60 for children aged 3 to 9. Again a photo package is included in the price. You choose an appetizer, entree and dessert. The appetizer selection is not very inspiring with a choice of Mixed Green Salad, Rock Shrimp Cocktail, Cheese Board or Soup. Entrees include Pork Chop, Duck Confit, Fried Chicken, Beef Tenderloin or Vegetarian Cassoulet. Opinions are very divided on whether Cinderella’s Royal Table is it worth it or not. If you want the location then this really can’t be beaten. But the food is not the best in Walt Disney World – you are paying a premium for the location and experience. Crystal Palace is located at the end of Main Street close to Cinderella’s Castle. And in my opinion serves much better food, certainly for a much better price. The characters are Winnie the Pooh, Tigger, Piglet and Eeyore. Breakfast is served between 8.30am and 10.30am. This is an all you can eat buffet with lots of selections. The menu items do change regularly but you will always find the usual favorites of scrambled eggs, bacon, potatoes, fruit and pastries. The cost of this character breakfast is $22.99 for adults and $12.99 for children aged 3 to 9. Tax and gratuity are extra. Lunch is $24.99 for adults and $13.99 for children not including tax and gratuity. This is an all you can eat buffet with lots of choice. A particular favorite of mine is the Fruit and Vegetable Tofu Curry. To finish off there is plenty of choice of desserts. Why not try the Bread and Butter Pudding with Bailey’s Irish Cream Sauce? Dinner also has a very good buffet selection including Peel and Eat Shrimp, Tropical Slaw, Prime Rib, Roasted Turkey, Chicken Fingers, Roasted Pork and Cheese Pizza. Favorite desserts include Key Lime Pie, Tiramisu and Double Chocolate Brownies. Once upon a time the Akershus restaurant in the Norway Pavilion in Epcot was one of my favorite Disney dining experiences. However that has all changed! Some years ago the restaurant was taken over by the Disney Princesses. Whilst it is a great chance to meet the Princesses in my opinion it is probably the worst buffet food in the whole of Walt Disney World. 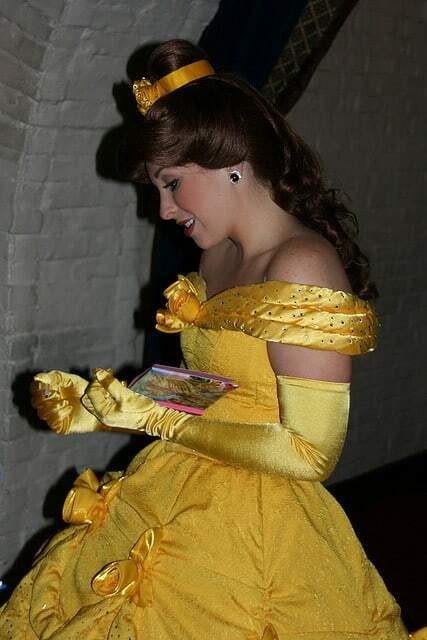 Having said that it is a great place to go if you have Disney Princess fans in your party. Akershus Royal Banquet Hall serves breakfast, lunch and dinner. As part of the price you pay for the meal you receive a photo package. This is a good place to see the Princesses but if you want to have a better chance of seeing Cinderella then Cinderella’s Royal Table or dinner at 1900 Park Fare are better bets. A selection of Disney Princesses appear at each Storybook meal and include Ariel, Belle, Snow White, Mulan and sometimes Mary Poppins (not sure that she counts as a Disney Princess)! Breakfast is $39.40 for adults and $23.42 for children aged 3 to 9. Breakfast is served family style and includes fruit, bacon, sausage, scrambled eggs, potato casserole, biscuits and cinnamon rolls. Lunch pricing is $41.53 for adults and $24.49 for children aged 3 to 9. There is a small buffet table with a selection of salads, seafood, meat and cheese. Your can choose an entree from the menu. This includes such items as Salmon Burger, Venison Sausage Sandwich, and Mushroom Stuffed Pasta. There is a children’s selection too which includes pizza and hot dogs. There is a dessert plate which is brought to the table with a selection of desserts. Dinner is the same menu as lunch and is priced at $46.85 for adults and $25.55 for children aged 3 to 9. This innovative restaurant is located in the Land Pavilion in Epcot Future World. This is a slowly revolving restaurant with views into the LIving With The Land boat ride. You dine with Mickey Mouse, Pluto and Chip ‘n’ Dale. Dinner is served from 4pm daily and costs $34.99 for adults and $16.99 for children aged 3 to 9. All food is served family style and is brought plated to your table. It includes, breads, salad, Beef Strip Loin, Roasted Turkey, Fish, Vegetables, Potatoes and a dessert of Strawberry Rhubarb Crisp. Children have their own platter of Chicken Drumsticks, Mac and Cheese, Broccoli and Sweet Potato Sticks. For dessert there is Mickey Mousse Cookies and Cream. This is a great option if you have younger children. The Playhouse Disney gang of June, Leo, Hanny Manny and Special Agent Oso from Little Einsteins entertain children for breakfast and lunch at Hollywood and Vine in DIsney’s Hollywood Studios. Dinner is not with the characters. Breakfast is a buffet with all the usual favorites costing $26.99 for adults and $14.99 for children aged 3 to 9. There is also a character buffet for lunch priced at $28.99 for adults and $14.99 for children. The menu items vary but will include salads, seafood, meat and vegetarian entree selections. Of course there are some nice dessert options too. This is the only character dining choice in Disney’s Animal Kingdom park. It is an all you can eat breakfast buffet with characters. The cost is $24.49 for adults and $10.99 for children aged 3 to 9. There is a large selection of breakfast items including Ham and Cheese Frittata, Yam Casserole, Cheese Blintzes, Corned Beef Hash and Scrambled Eggs. This is located in the Disney Beach Club at Cape May Cafe each morning. The price is $26.99 for adults and $12.99 for children for a good selection breakfast all you can eat buffet. You will usually see Minnie Mouse, Goofy and Donald in their beach wear! Chef Mickey is located in the Disney Contemporary Resort and is one of the best and most popular of the character buffets. Mickey Mouse, Minnie Mouse, Pluto and Chip and Dale are usually to be found here at breakfast. You can eat breakfast and dinner at Chef Mickey’s. Breakfast is priced at $26.62 for adults and $13.99 for children aged 3 to 9. There is a large selection of cereals, fruit, pastries and cooked items including Mickey Waffles and Minnie’s Breakfast Pizza. 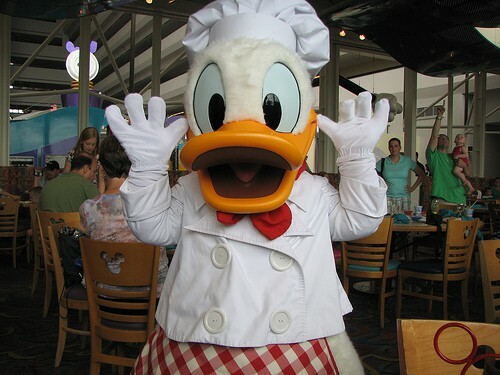 Chef Mickey’s is also open for dinner from 5pm to 9.30pm with Mickey, Minnie, Goofy, Pluto and Donald Duck. The price is $34.07 for adults and $17.03 for children aged 3 to 9. The menu varies but has a large selection of items including a specialty carved item. In my opinion 1900 Park Fare has the best food of all the Disney character dining choices. This restaurant is located in the Disney World Grand Florida Resort. The Supercalifragilistic Breakfast is attended by Mary Poppins, Alice and The Mad Hatter. Even though the Mad Hatter has to be the most annoying person to see at breakfast this character meal is a real treat. There is a large and varied selection on the buffet including strawberry and apple turnovers, pecan sticky bun, Challah bread, omelets, bacon, apple cobbler and French toast. Breakfast is priced at $22.36 for adults and $12.77 for adults plus tax and gratuity. Dinner is served from 4.30pm to 8.30pm and costs $35.99 for adults and $17.99 for children plus tax and gratuity. This is the best place to see Cinderella (apart from Cinderella’s Royal Table). There is a lot of choice for the dinner buffet which includes, prime rib, turkey, salmon with butter sauce, pork loin and mussels. This character dining experience is also located in the Grand Floridian Resort. This is very much a whole experience rather than being just about the food as this is a wonderful, but expensive, chance to go to a very special tea party with Princess Aurora. The $250 price tag includes a collectable doll, a tiara, bracelet, a scrapbook , a rose and a certificate. The $250 includes admission for one child and one adult. Addtional adult guests are $100 and a child is $150. Tax is not included. Guests also have tea including sandwiches, cheese briquettes, lavosh crackers and fruit. For the children there is juice, fruit, and sandwiches. Another chance to have a character dining experience without park admission. This Character Breakfast is at the Polynesian Resort Disney World Florida..
Breakfast is priced at $20.99 for adults and $11.99 for children aged 3 to 9. Mikey, Pluto, Lilo and Stitch are in attendance for breakfast. There is a limited choice of breakfast items and it is served family style. This is one of the lesser known character breakfasts and there are character appearances only on Saturday and Sundays in the Walt Disney World Swan hotel. The price is $20.99 for adults and $12.99 for children. There is a good selection of breakfast items. Unusually for a Disney character breakfast there is no advance reservation system. Don’t overlook this breakfast venue, even when the characters aren’t there. It is usually quieter and has a very high quality selection of items The only downside is the slightly out of the way location in the outer reaches of the Epcot resort area. Should You Go For A Disney Character Meal? Really it is one of those things which you absolutely have to do at least once. Take some time to pick the experience which you think you will enjoy. They really are quite different from each other both in terms of food and experience, but there is something to please everyone. What is your favorite Disney World Character Dining restaurant? Leave me a comment below. 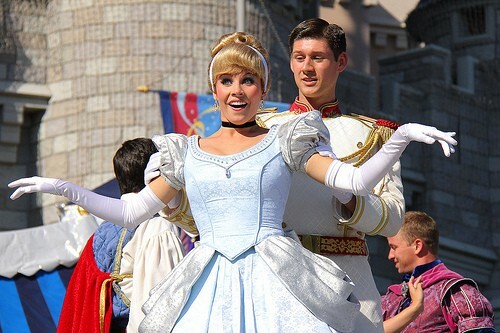 Where Can You Find Cinderella in Disney World?